Thank you for your interest in the watershed and support for our lake stewardship projects. This year end message highlights a few of our efforts to achieve our Society goals. See the SLWSS News for more details on any of these topics, or click on the links included here. Our slogan “Protecting the lakes natural values and assets through vigilance and science” is now cast in stone in the form of a brick mounted on the base of the new lighthouse. We monitored Sylvan Lake water quality again in partnership with the Alberta Lake Management Society, the Red Deer River Watershed Alliance and the Sylvan Lake Management Committee. We found that the lake is currently depleted in plant nutrients compared to the historical record. We co-hosted the Central Alberta Recreational Lakes Association (CARL) conference in May in Sylvan Lake and learned about stewardship initiatives of other lake communities. Our SLWSS demonstration of low cost Geographic Information System (GIS) technology for watershed monitoring was a popular topic. Cumulative Effects Monitoring has been slowed by a delay on the part of watershed municipalities to share critical current data on indicators that define and affect the state of the watershed. We presented evidence of Golf Course Creek contamination by entrained runoff from Town of Sylvan Lake construction sites and recommended that the town adopt stricter standards for new developments within the West Area Structure Plan to prevent erosion and siltation. 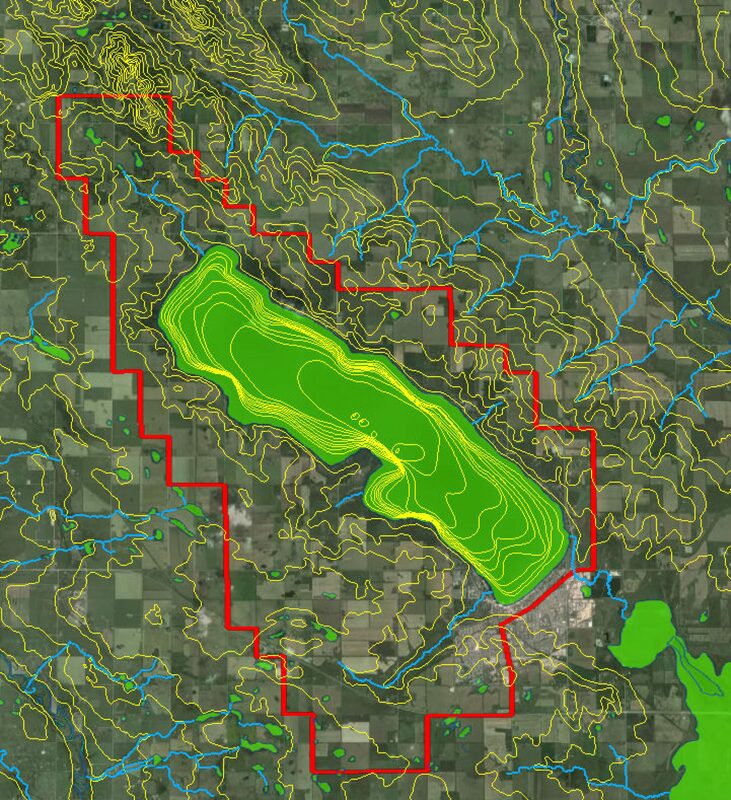 We assisted a geophysics team from the University of Calgary to collect data on the Paskapoo formation, an important groundwater aquifer in this region of Alberta. The Quiet Enjoyment Initiative team made progress on outreach and public education by distributing an informative brochure on noise control courtesy and practice. Some Summer Villages contributed to the cost of printing the QEI brochure. Our overall assessment of the 2016 state of the watershed is that the lake had high water quality through the open water season and remained free of chronic algal blooms. Early season runoff was absent. Nutrient loading of the lake was low. Annual precipitation was close to normal and the lake level remains close to the historic average according to the official record. Click here for a pdf file of this message.